Still Immaculate in Our Authenticity by Alistair Livingstone. This is another post from Alistair Livingstone’s excellent blog ‘Greengalloway’. The original can be found here. I guess it was fun while it lasted. 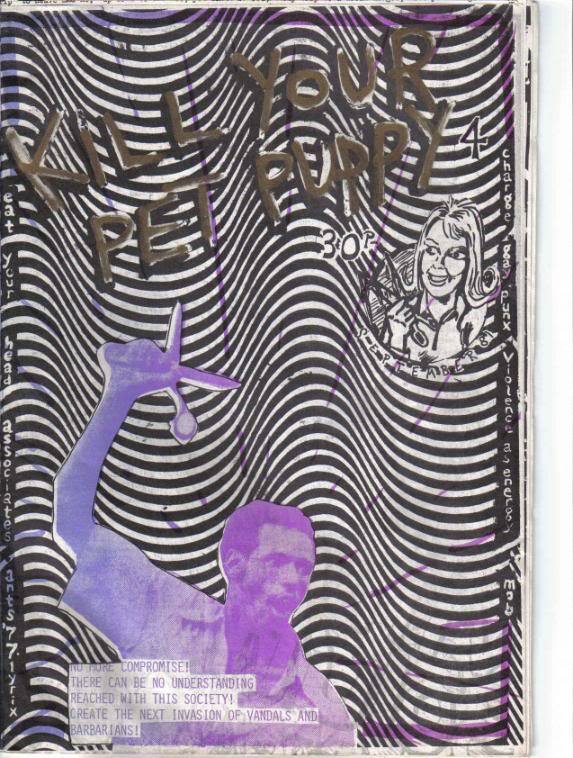 I started this blog 1 March 2005 recycling the intro I wrote for Encyclopaedia of Ecstasy Volume one in June 1983 which was a memory of the long hot summer of 1976 ‘In the beginning there was punk’ … but even that pushed the ‘beginning’ back to the pre-punk counterculture of Hawkwind and the Pink Fairies. supermarket. The supermarket opened in 2006, but the campaign did manage to limit its potential to damage the local economy by making sure it did not have a petrol station attached to it. As the titles and the texts show I was already trying to subvert and confuse linear/ exclusive narratives which distinguished between the origins of the goth subculture and accounts of the anarcho-punk sub-subculture. The Barracudas surf-punk gets an honourable mention in the 31 March post. 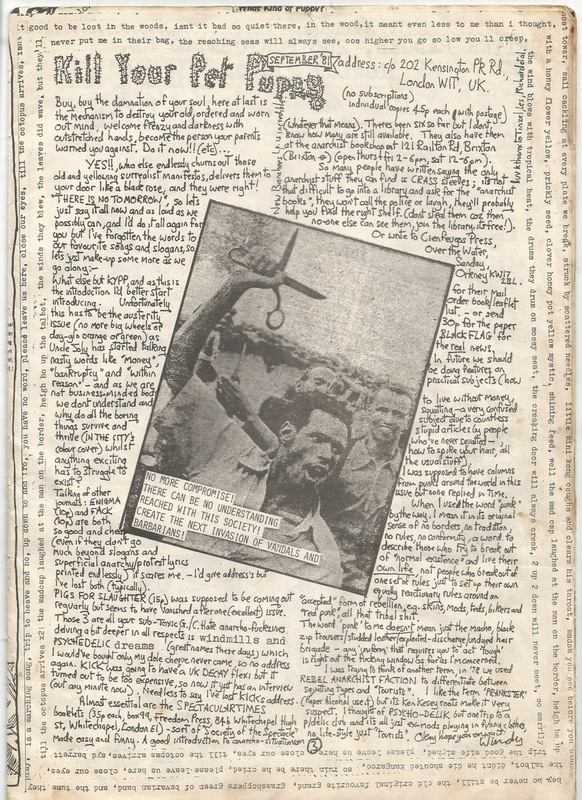 The Diary post includes references to Richard Cabut’s 17 February 1983 front page ‘Positive Punk’ NME article which has since become part of the ‘history of goth’. There is even a mention of Andy Palmer of Crass, 18 June, who came round to visit the Black Sheep Housing Co-op house I was living in with his then partner Lu Vucovik who was living in one of other Co-op houses. In 1984 Andy became a full time Black Sheep. So what has changed now to bring the fun to an end? 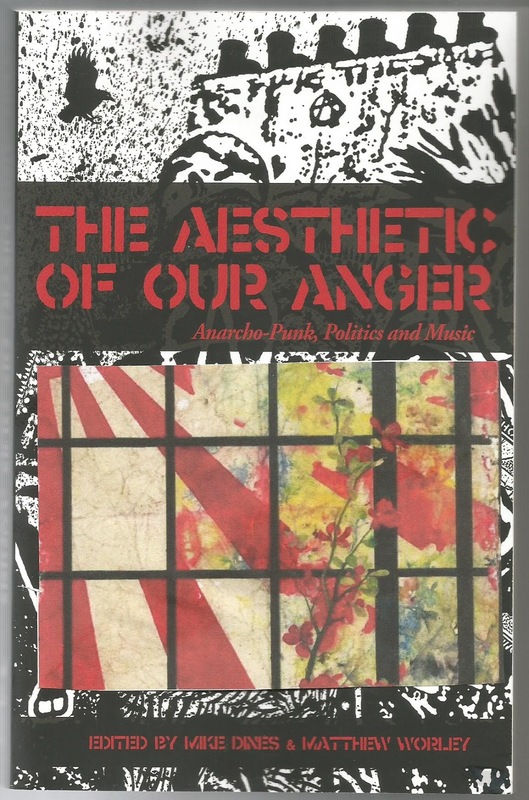 Nothing really, except that this morning I got a book ‘The Aesthetic of Our Anger’ edited by Mike Dimes and Matthew Worley and subtitled ‘Anarcho-Punk, Politics and Music’. I already have a PDF of the book, but I want to write a review of it and at 315 pages it is a pain in the arse to do that from a PDF. The English translation of the title Le Cru et le Cuit is not incorrect, but it is perhaps incomplete. “Cuit” in French does not necessarily mean “cooked”, but is also used to denote “done” or “prepared”, which is not necessarily obtained by cooking. In this case, Strauss’ use of cuit implies what culture and society do to the raw and make it ‘done’ or ‘cooked’. ‘Culture and society’ in this context are represented by formal, academic studies and analyses of the raw material- records, performances, fanzines, flyers, art works, autobiographies, interviews, personal accounts and direct actions (like Stop the City) of ‘anarcho-punk’. The book then becomes the meal, ready and prepared to be eaten by the reader. To follow this analogy through, if you are preparing a vegetarian meal, then any meat products have to be excluded from the start. Even the fresh vegetables have to be prepared, cutting off stalks, discarding any rotten fruit and so forth. But once the raw has been cooked by culture and society the original authentic raw ingredients no longer exist. They have become recuperated and therefore are no longer available as sites of resistance. As Guy Debord recognised fifty years ago, the art of war in a spectacular society is to be always mobile. As early as late 1979 the Kill Your Pet Puppy collective had realised the impossibility of defending c/Crass interpretations of what was to become anarcho-punk. Lesson learned, we moved on, abandoning the defensive structures subsequently erected which came to define the anarcho-punk of ‘The Aesthetic of Our Rage’. It would therefore be pointless for me to criticise ‘The Aesthetic of Our Anger’ for ignoring anarcho-hippy-goth-punk. The whole idea was to create something which could not be recuperated, could not be cooked. To conclude then, despite my opening line, this is still fun. We are still out here on the perimeter, still immaculate in our authenticity.